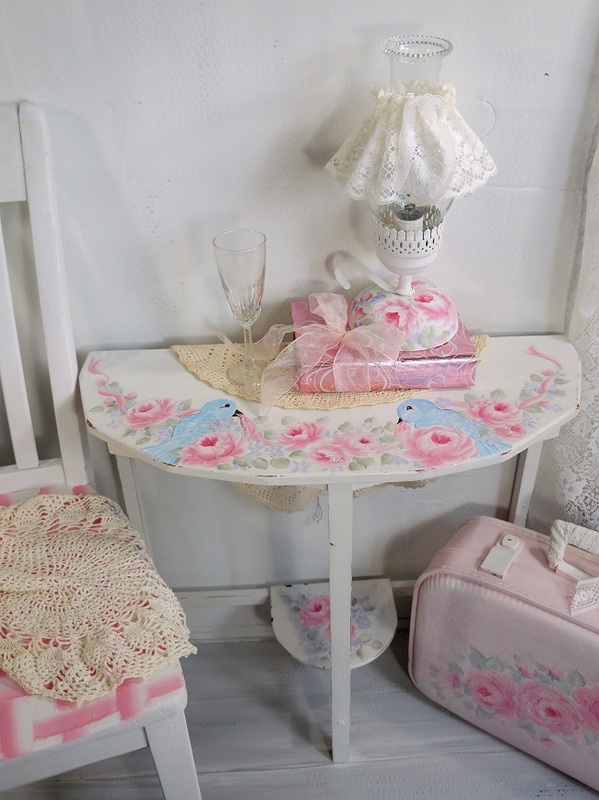 How adorable is this vintage side table. 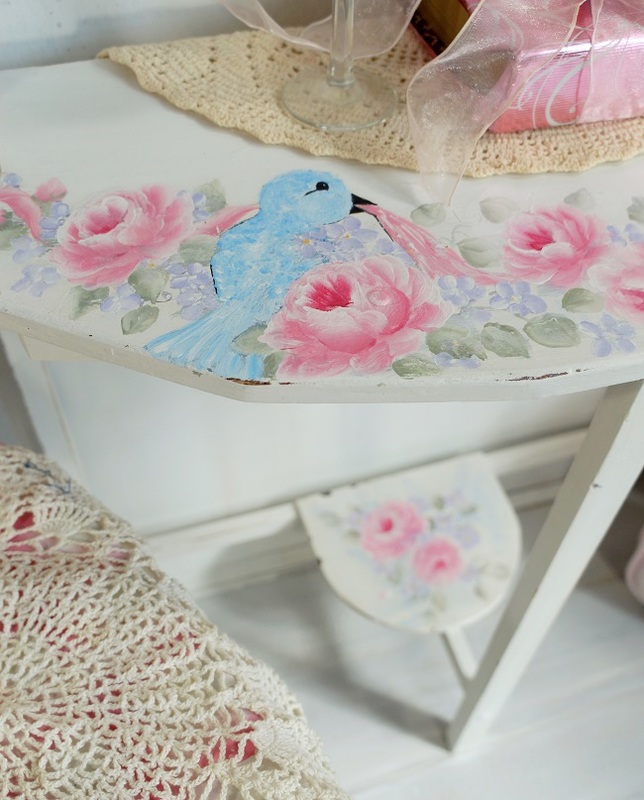 It is totally hand-painted and would look great in your shabby chic, Country Cottage home. 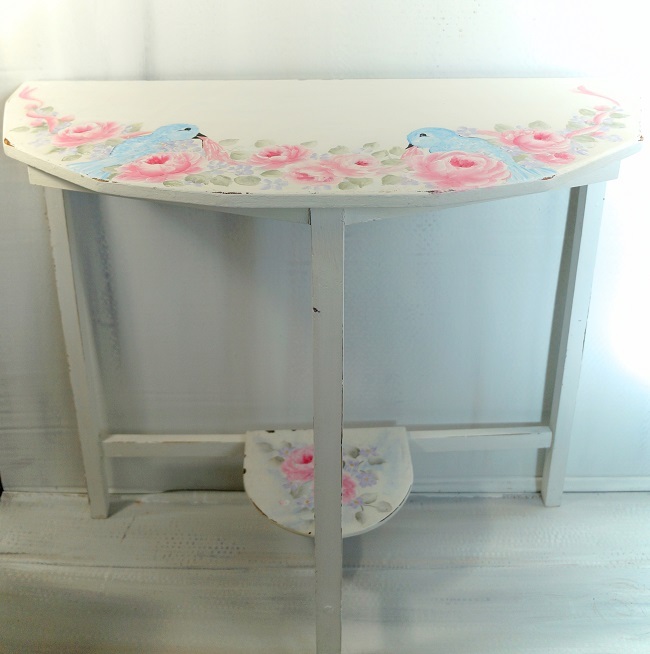 I painted this side table white then added roses in shades of pink, the foliage in shades of green with lavender wildflowers. 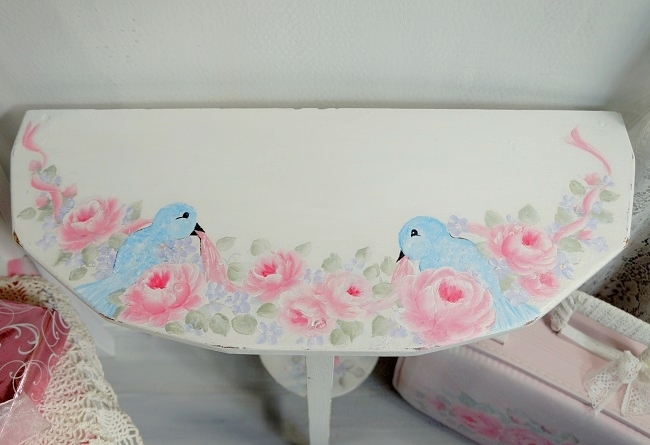 I also added a pink ribbon running throughout with two blue birds enjoying the florals. The bottom shelf has not been left out either. 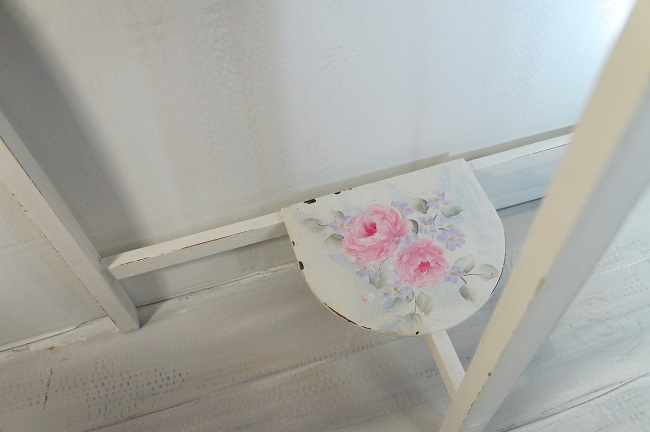 I gave it a little distressing to add that warm shabby chic country look. It is appx. 10"x 24" wide x 22 tall. 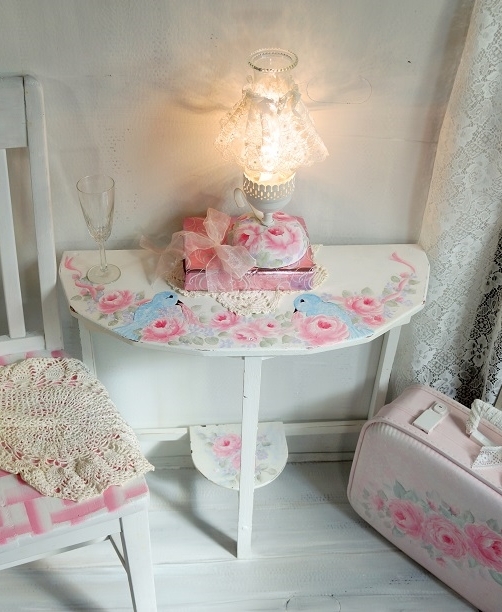 This would be a lovely addition to any room of your home. It is lightweight and easy to move anywhere.